Security is often a hot topic in leasehold properties so this article aims to provide Leaseholders with ways to prevent your home from being burgled. 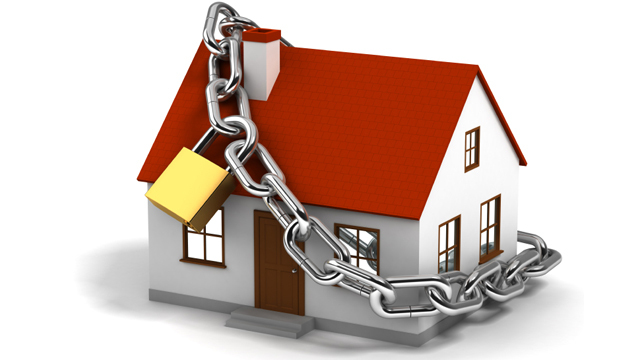 In the year 2010 – 2011 there were 452,000 recorded burglaries with entry to domestic properties. Even though burglary is becoming less common due to more complex locking systems and an increased use of alarm systems here is some useful advice to prevent yourself from becoming a victim of a break in. Make sure you have a strong door and frame, and invest in locks that cannot be picked or bumped. Contact a locksmith for further advice. Keep your keys out of reach of the doors to prevent people from fishing them out through the letter box, however make sure they are accessible in case of a fire. Have a peephole or door viewer installed, if this isn’t possible install a security chain. If you live on the second floor or above make sure that you can use the locks quickly in case of emergencies. First floor flats should have at least 3 locking points on French windows and patio doors. Glass panels in doors should be laminated glass or reinforced with security film, some doors come with this already installed. All ground floor windows should have key operated locks. Don’t leave valuables in your car even if you are parked in a perceived secure communal car park, display a police notice stating that they have been removed. If you see someone in and around the building that you don’t know or are unaware of why they are there then challenge them and ask why they are there. If someone is asking to come into your flat stating they are contractors or police then ask to see proof or identification? Or call the company but do not use a number that the caller has provided. If you are going away for a long period of time ask a friend to collect your mail and cancel any magazine or newspaper subscriptions as built up mail is a clear sign that you are not home. Set a timer for your lights to go off at random times if you are away to give the illusion that you are home. If someone is buzzing your door do not let them in unless you know who they are or you are expecting them. Make sure you close doors behind you, especially communal doors. Mark valuable items with an invisible pen and for items such as jewellery that cannot be marked then take photographs and have descriptions of them. Keep ladders and other tools locked away so that they cannot be used to break into your property. Do not leave valuable items such as bicycles in designated communal areas, (Lease permitting) unless they are properly secured. Avoid discussing holiday plans in an open forum such as social media as people can use this information to gauge when you are away. Install a CCTV system however if it captures anything outside your personal property then it has to be registered with data protection. However, this can be avoided by using dummy cameras. Install door or window contact alarms that go off when a window or door is opened when the system is turned on. Subject to any relevant consents, install a visible security system preferably with a panic alarm built in. If you are allowed then buy a pet such as dog as most people do not enter a property knowing there could be a dog home. If you feel threatened or a crime is in progress then call 999.